The studio of Kimberly Williams Interiors has some exciting news! Celebrating over 30 years in business founding designer Kimberly Williams is happy to announce her partnership with long time team members Elaine Martel + Adriana Wootton. Elaine + Adriana collectively bring over 38 years of Interior Design experience and an unprecedented dedication to building long term client relationships. The KWI studios diverse portfolio includes residential, commercial, hospitality and assisted living projects, with each being as unique as the clients behind them. The design team brings education, creativity, technical ability and an invaluable resource of experience to each project. 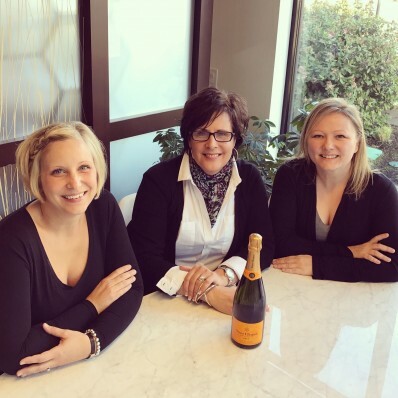 Moving forward Kimberly, Elaine and Adriana look forward to celebrating a partnership that continues to build on the studio’s success’s and creating innovative, creative solutions for our clients. COPYRIGHT © 2012 KIMBERLY WILLIAMS | ALL RIGHTS RESERVED | WEB DESIGN BY MEADE DESIGN GROUP.